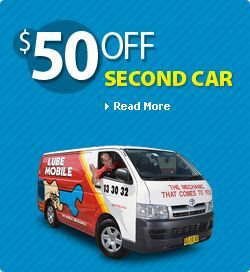 Lube Mobile, the Mobile Mechanics can diagnose and perform repairs on your car's Oxygen Sensor. Whether you car is not starting , has an intermittent problem or a warning engine light has come on, we can help. Our technicians can check your entire engine management system using a Scan Tool loaded with data on the latest models to read fault codes and live data. These are carried in a good portion of the vans. Please mention you have this type of problem at time of booking to ensure we can send the suitable van and mechanic. All componentry can be checked such as: ECU, Crank Angle Sensor, Cam Angle Sensor, Throttle Position Sensor, Air Flow Meter, Oxygen Sensor, Coil Pack, Ignition Module, BCM Module, DFI Module, Air Temperature Sensor, Coolant Temperature Sensor and Injectors. We use only quality components from recognised leaders in the industry. Let us come to you and diagnose and repair any problem you may have with your engine management system at a time and place you choose. All work comes with our 12 Month / 20,000 km Warranty. You can book online now or click for a quote via email or call us on 13 30 32.